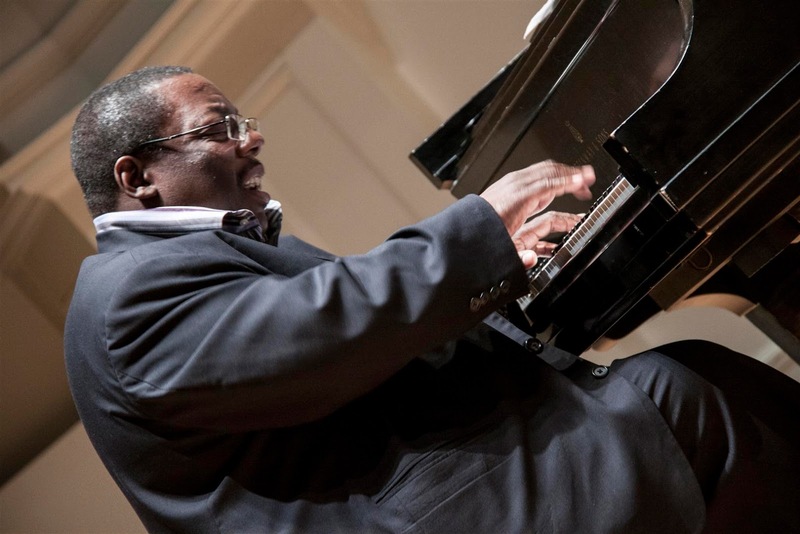 A decorated veteran of the Wynton Wars when a neo-conservative wing of the music seemed poised to usurp the popular jazz consciousness of the late-1980s, pianist Cyrus Chestnut came out the other side relatively unscathed with a style and directive clearly his own. It’s one steeped in the gospel church traditions of his native Baltimore, but also enlivened by an open ear aimed at a multitude of other influences. Valuable tenures with vocalists Jon Hendricks and especially Betty Carter further expanded his playbook with the added assets of a steady supply of encomia and awards. 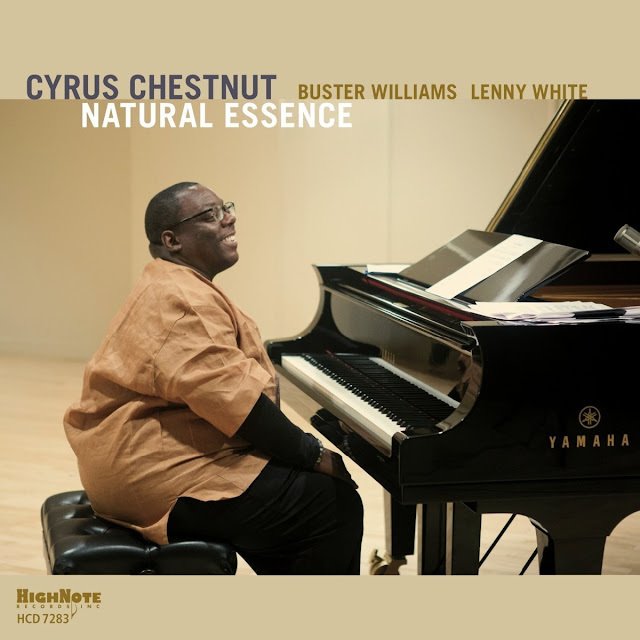 Several decades distant from his original ascendancy, Chestnut’s keyboard skills are still sharp and discerning as Natural Essence, his second album under the HighNote mantle, makes abundantly clear. Chestnut’s history as a prodigy with a slew of jazz-based scholarships and later first call appointments in the Lincoln Center Jazz and Carnegie Hall Jazz Orchestras and Dizzy Gillespie Big Band weigh lightly on this session of like-minded players. Bassist Buster Williams and drummer Lenny White are both veterans in their own right, having graced hundreds of sessions between them. Chestnut is their junior by twenty-one and thirteen years respectively, but he assumes the mantle of leader without the least bit of trepidation. The nine tune program is a predictable assemblage of standards joined by with one each from the sidemen and two from Chestnut. 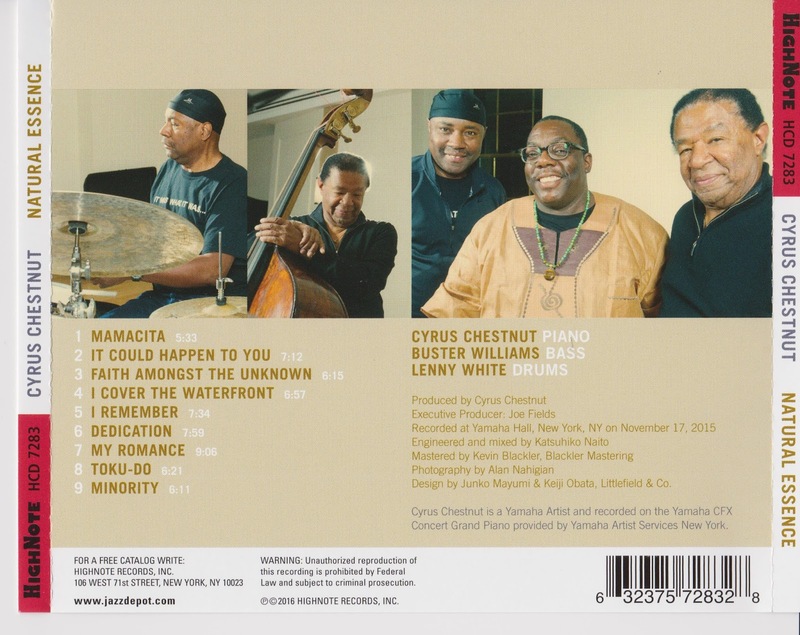 The fusion side of White’s chops honed during his time as drummer for Weather Report come into prominence on the opening groove-friendly rendering of Joe Henderson’s “Mamacita”. His string of boisterous breaks thread through a fat stream of funk that’s further buttressed by Williams round, rubberized sound. “It Could Happen to You” finds Chestnut folding in some Japanese inflections into his phrasing of the melody and a lush, resounding solo from Williams works as another highpoint. “I Cover the Waterfront” and “My Romance” don’t reveal much in the way of fresh material, but the trio tackles both with an equal opportunity attitude toward their viability as jumping off points for efficacious interplay. 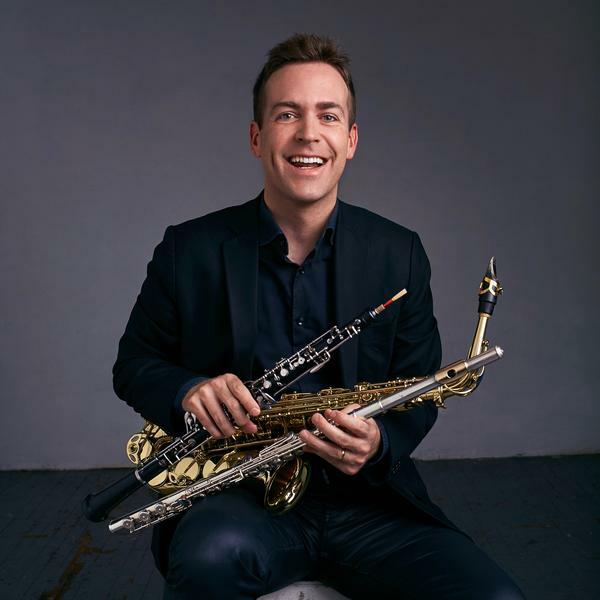 Manhattan-based saxophonist Daniel Bennett can be heard throughout the world performing his award-winning compositions on saxophone, flute, clarinet, and oboe. 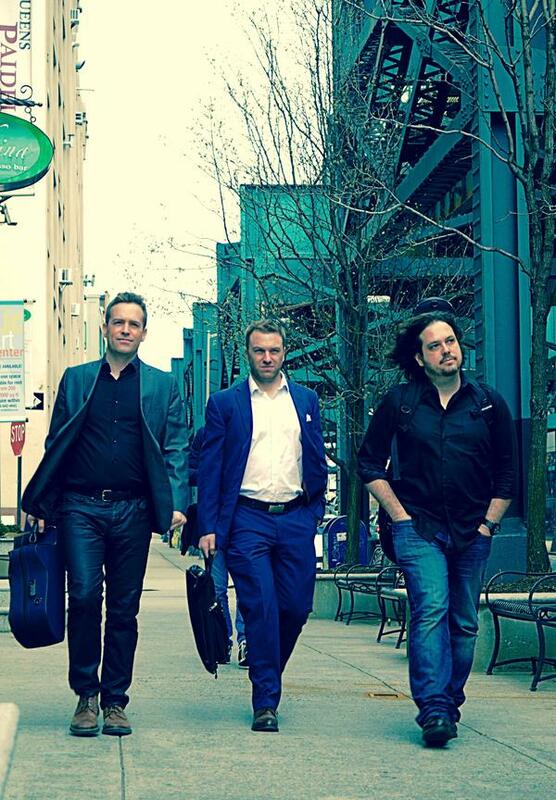 The Daniel Bennett Group plays quirky modern Jazz, fused with elements of Surf Rock and Avant-Pop. The Boston Globe describes Bennett's music as "a mix of jazz, folk, and minimalism." 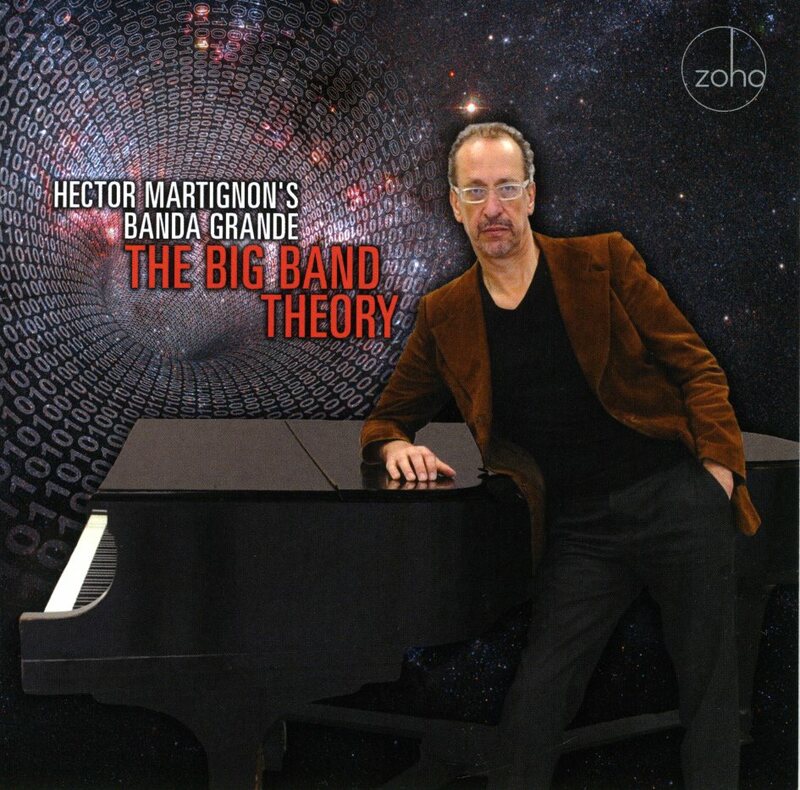 The band was recently voted "Best New Jazz Group" in New York City Hot House Magazine. 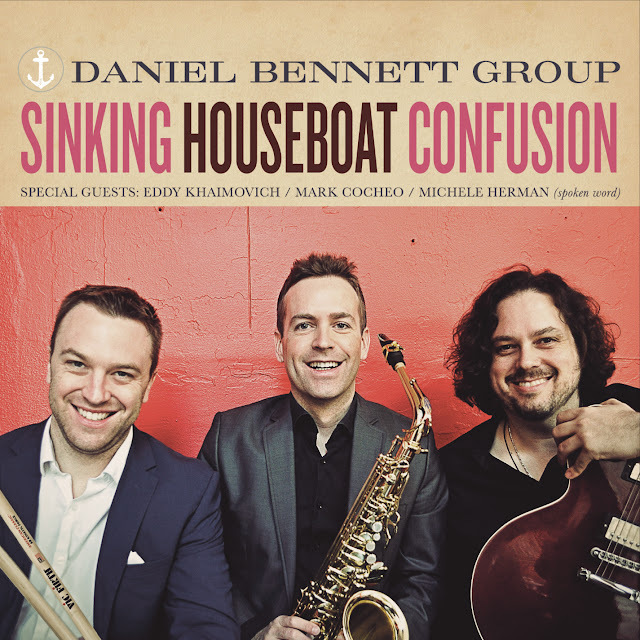 Daniel Bennett Group is currently touring to promote their newest album, 'Sinking Houseboat Confusion' (Manhattan Daylight Media). On the new album, Bennett is joined by Nat Janoff (guitar), Eddie Khaimovich (bass), and Matthew Feick (Drums). The album was produced by MP Kuo at Eastside Sound Recording in Manhattan. The Daniel Bennett Group has been featured in Boston Globe Magazine, NPR, First Coast Living (NBC), Indianapolis Public Radio, San Francisco Examiner, St. Louis Public Radio and the Village Voice. 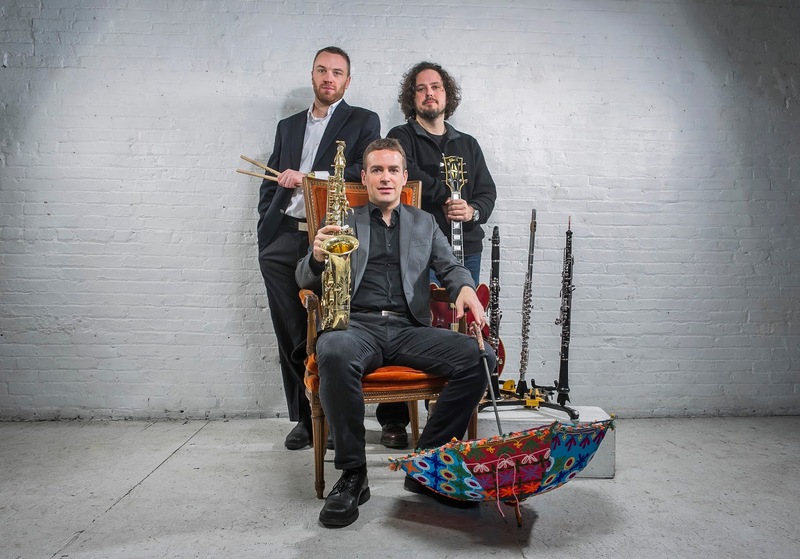 The Village Voice raves, "saxophonist Daniel Bennett makes hay with an airy approach that's buoyant enough to conjure notions of East African guitar riffs and Steve Reich's pastoral repetition." Time Out New York describes the music as, "hypnotic." 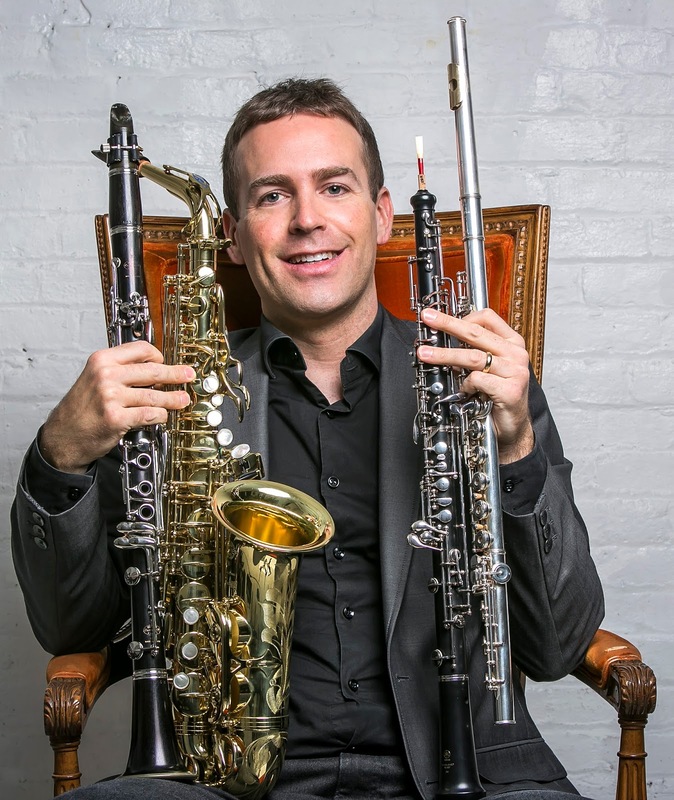 Daniel Bennett studied saxophone at the prestigious New England Conservatory in Boston. During his time in Boston, Bennett performed regularly with the Portland Symphony and the New Hampshire Festival Orchestra. 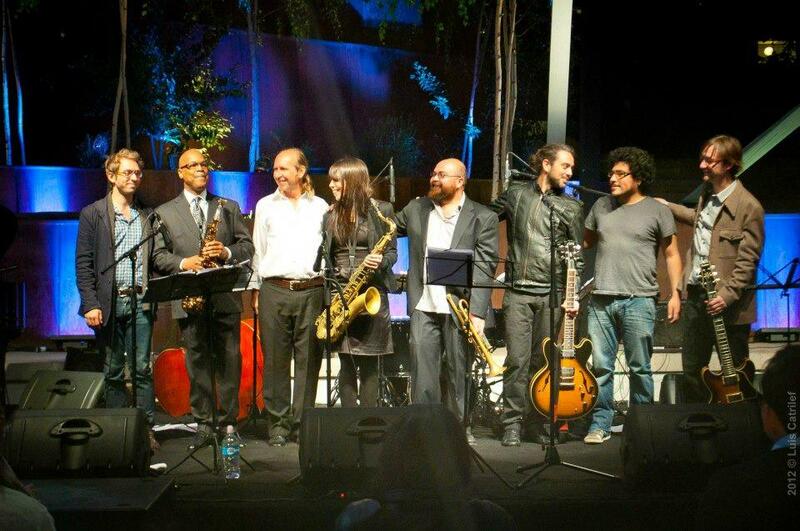 Bennett also toured Italy and Switzerland with renowned Boston jazz ensemble, Musaner. In addition to leading his own band, Daniel Bennett performs in Broadway and Off-Broadway theater productions in New York City. Daniel Bennett recently composed the musical score for stage adaptations of 'Frankenstein' and 'Brave Smiles' at the Hudson Guild Theatre in Manhattan. Daniel Bennett recently played woodwinds in 'Blank! The Musical,' the first fully improvised Off-Broadway musical to launch on a national stage. The show was produced by Second City, Upright Citizens Brigade, and Improv Boston. The New York Times called the show, "Witty, Likable and Ludicrous!" Daniel Bennett's theatrical works have strongly influenced his eclectic sound and musical storytelling abilities as a bandleader. 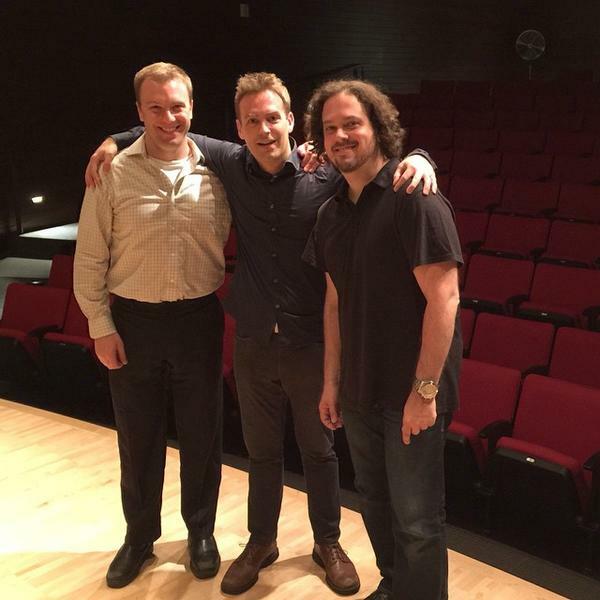 Daniel Bennett is an official endorsing artist for Morgan Mouthpieces. Visit www.danielbennettgroup.com to learn more. They describe their music as, ‘quirky, modern jazz fused with elements of surf rock and avante-pop’. The group have been playing more or less constantly for over a decade and are stalwarts of public libraries as well as jazz clubs and festivals. They recently completed 10 packed US tours. Their first 6 albums increased the group’s popularity and were critically acclaimed. 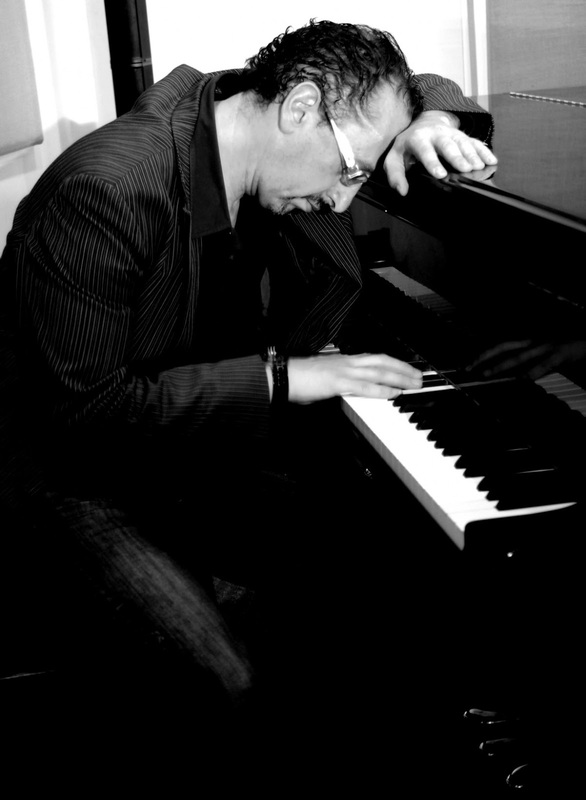 Critics and reviewers have realized the magic of their music and the last album ‘The Mystery At Clown Castle’ was positively reviewed in Time Out, The New York Times, Jazz Weekly, All About Jazz and many other publications and proved Daniel has matured and gained huge respect for his original music. The group have appeared on TV and radio to share their take on music with a wide audience. Daniel has composed music for theatre and played woodwinds in ‘Blank! The Musical”’ which was the first fully improvised off-Broadway musical to launch on a national stage. With no conductor or sheet music the music was created spontaneously to accompany the cast and the New York Times called the show ‘Witty, Likeable and ludicrous’. The new album has been in the pipeline for some time and was anticipated with high expectations. When there is high expectations some trepidation comes with playing the music for the first time so I braced myself. I have to say from the start, this is not the Daniel Bennett I was expecting. Past music has been more than listenable, jazzy, theatrical and very pleasant but this – this shows a maturing and confidence in their own identity which is palpable from the first note. The first listen was fine, the second good and the third I was hooked. I recognised Daniel’s style from the start but it was the quantum leap in that style along with a massive increase in confidence which assailed me. The CD opens, as all CDs must, with a familiar sound – it could almost have been lifted from one of their previous albums. However, ‘John Lizard Comes Home’ quickly diverges into something else – a rockier, faster-paced sound with some pretty neat guitar from Nat Janoff, underpinned by thrumming bass from Eddy Khaimovich whilst Daniel soars over the top, changing into minor key and back again part way through. This is confident, joyful music and tight? Boy is it tight. ‘Andrew Variations’ follows and again, this is led by Daniel’s clarinet which establishes the lovely melody. Which is played – in various forms again and again but never becomes tiresome. Daniel shows he knows how to work a theme and it breaks at just the right place for a complete change in texture and feel before re-establishing the theme in this far too short, delightful track. ‘Bobby Brick Sent Me’ starts with a funky, driving beat over which Daniel absolutely rocks on sax. There is a lovely, open feel to this track and Daniel is supported by light but effective drums and guitar. Daniel’s confident playing carries this track and he has reached that stage where a natural player crosses from being very good to intuitive and heading towards greatness. His playing is superb. The title track, ‘Sinking Houseboat Confusion’ is rocky, classy and cosily familiar in format. The composition is full of depth and warmth, each musician used fully, echoing the theme set by Daniel. A rollicking drum solo from Matthew Feick cuts a decent break at the 1.30 mark before the theme returns. ‘Paint The Fence’ ushers in a change of mood with twangy guitar paving the way for Daniel’s flute which creates an atmospheric number lifting the listener up, away and then gently putting them down again, changed somehow yet perfectly replete with sound. There are some lovely off-beat moments in the rhythm but not enough to interfere with the mood. ‘Dr Duck Builds a Patio’ is jazzy, funky and the sax sounds, at times truly like a duck concentrating on his task of building. Daniel’s playing shows true confidence here, raspy, fast and offset by a great guitar solo. ‘We Are Okay’ is more rocky to begin with before a bluesey, racey theme is introduced and the jazz roots comes through with three rhythms all going on simultaneously, imparting to the number a sense of organised chaos. It develops each theme, each rhythm, all separate yet skilfully linked to create a cohesive number with a touch of free jazz mixed in. Gorgeous. The fact this works with the complex depths confirms the dexterity and understanding the musicians have and their more than nodding respect and understanding for true jazz composition in music. ‘Little Disappointments of Modern Life’ starts with an inspired bit of sax from Daniel, showing off his impressive licks. Then the poem by Michele Herman after which the track is named is read with Daniel accompanying the narrative with intuitive playing holding up and emphasising the emotion of the poem’s story. An unusual and surprising track but the theatrical nature works well and the music entwines with the words to create something more than a bit magical. As the voice stops, Daniel continues on sax, telling his own version of the story and the silence at the end is all-encompassing. With ‘Animals Discussing Life Changes’ the music returns to the familiar Bennett format, with the lead instrument, a clarinet in this case, working up the theme adequately supported by the rest of the musicians. This is a good filler number and has a dancy, prancy feel about it. Sinking Houseboat Confusion’ (acoustic reprieve) has the addition of Mark Cocheo on acoustic guitar and while the original theme is there, it is treated so gently and slowed that it is hard to equate this track to the first version. It is, however, beautiful and arranged really cleverly. 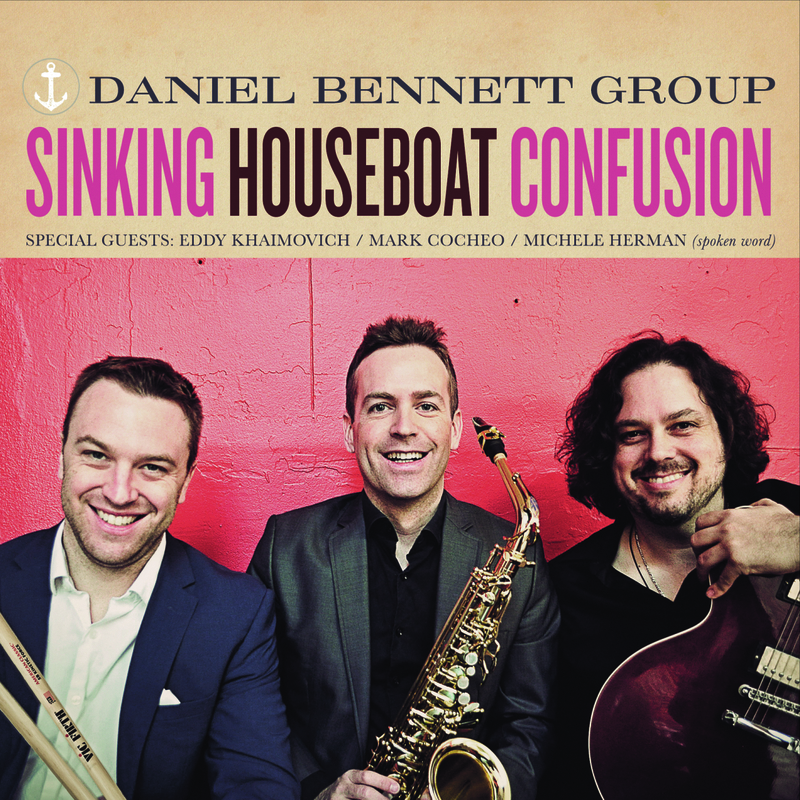 There is about this CD a quality and a confidence which is a mile higher than anything I have heard the Daniel Bennett Group play before – and it was good before. It is clear Daniel is forging his way relentlessly towards that place in music where he feels most comfortable and, luckily for the listener, it is a place where the music is intensely listenable. Yet, there is still a sense of a door opening, not quite fully open – which bodes immensely well for the future. There are references to almost every genre so classifying the music is impossible – even the group call it avant-pop-modern jazz- surf rock and it is all of those things. However, I can tell you what it is and that is good music – listenable, recorded well and you get the sense of the endless work which has gone into this, the re-writes, the rehearsing, the tweaks and the respect for the listener because in the end, they got it just about right. Now if we can only get Daniel over his fascination with animals…Daniel said he would shock me – he did but in a good way. He also said the music will hopefully delight all – it will, (well unless you are brain-dead). This is seminal, not in the sense of music as a great whole but in the sense of this band – this is a gear change, a step up and delivered brilliantly. After 10 years of touring and breaking new ground with Bill Evans Soulgrass, Bill introduced the“Bill Evans Band” in the Fall of 2015 , a hard hitting montage of Jazz, Rock, instrumental and vocals. The “Bill Evans Band” is the next step for Bill. The evolution. Evans conducts the band and drives it with his saxophone as well as singing the lead vocals. With Dave Anderson on Bass and Bryan Baker on Guitar/Vocals, the “Bill Evans Band” is a seamless blend of Jazz, Rock and Groove. “People really relate to this band. We take people on a musical journey of Jazz, Funk, and Rock and Roll. For me, that’s the definition of Jazz- Improvisation and Exploration that people can really FEEL!” “Bryan Baker on guitar and vocals is a "phenom!," says Evans. “He is the most intense and lyrical guitar player I’ve ever played with. " This combination of musicians is handpicked by Evans who has played with the best musicians in the world throughout his entire career. Put your seat belt on! In April 2016 the “Bill Evans Band “ toured Europe in support of his latest release “Rise Above.” The band played to sold out venues across Europe. “Rise Above” is scheduled for release May 26th, 2016 on Vansman Records. 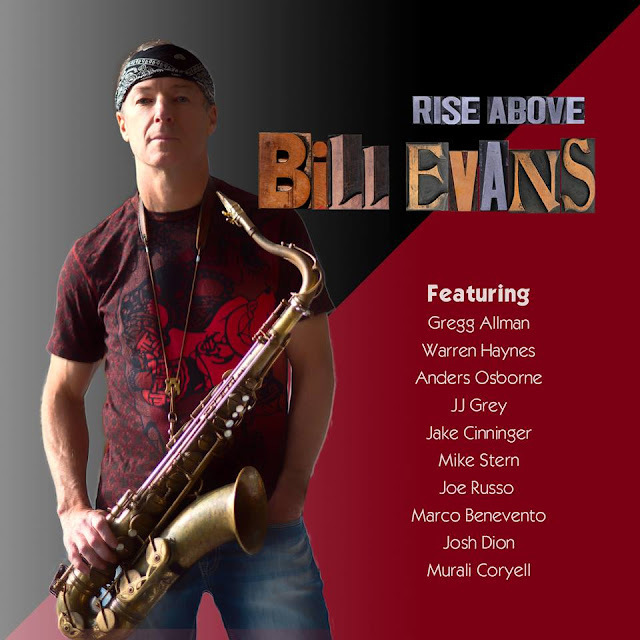 “Rise Above” is Bill’s most accessible release to date (2016). On this, his 24th solo offering, Evans explores rich and haunting vocals from special guest singers, including legend Gregg Allman, Warren Haynes, JJ Grey, Anders Osborne, Murali Coryell, and Josh Dion. “This recording has been an epic journey. My vision from the beginning was to record and write with some of my favorite singers and record a different song with each one of them. The goal was to still make a cohesive and solid performance out of all this music. It went far beyond my expectations. Sheer pleasure start to finish,” says Evans. 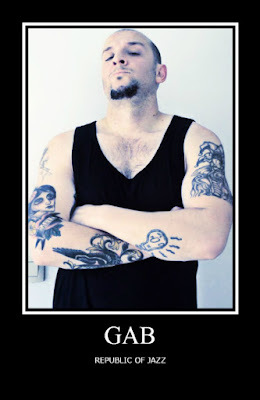 “Rise Above” is tied together with Evans' pedigree and love of soulful melodies and hard-hitting grooves, as it has been from the very beginning. In addition to his powerhouse guest vocalists, this recording also features among others: Jake Cinninger ( Umphreys Mcgee), Mike Stern on guitar, as well as, a who’s who among Jazz and Jam Band musicians. Evans is a world-class saxophonist and producer who made his debut on the international music scene in the 1980s originally with Miles Davis, (at the age of 21 years old- and recorded 6 records with Davis) which led to playing and recording with the likes of John McLaughlin, Herbie Hancock, Mick Jagger, Willie Nelson and many others. With 24 solo albums, Grammy nods, and countless collaborations and tours, Evans has continued to explore a dazzling variety of adventurous musical settings as a pioneering bandleader, consistently winning fans in the worldwide arena. 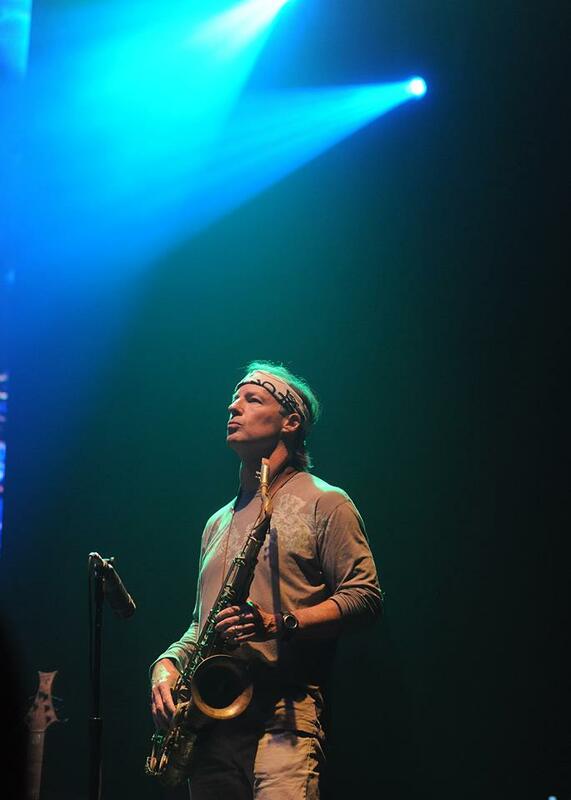 RECENT HIGHLIGHTS include: TOURING AND OR PERFORMING with his own band, the “Bill Evans Band,” Warren Haynes, Robben Ford (Bill Evans Soulgrass meets Blues), Phil Lesh and friends, Stern/Evans Band, Medeski Martin Wood and countless sit- ins with The Allman Brothers band, Umphreys Mcgee, Moe, Blues Traveler, Galactic and many more. Outstanding album by the quintet of trumpeter Sebastián Jordán, tenor saxophonist Melissa Aldana, guitarist Nicolás Vera, bassist Pablo Menares and drummer Félix Lecaros. Melodies as thick as clouds and as limitless in the imagery their loveliness incites. Recorded live at January 2015 performance at the Thelonious Jazz Club, the sounds from the crowd and the city bleed into the audio, which, in fact, just add to the personableness of the recording and the intimacy of the music. The up-tempo tunes are all you could ask for if you’re looking for a thrilling ride, but it’s when this ensemble patiently works through a tune that it bleeds all kinds of feel. Emotive and substantive and sincere… this straight-ahead modern jazz session is the kind of reminder that an old form of language can sound brand spanking new in the present day. This was a strong week of new releases, but it was still an easy decision to name this Album of the Week. 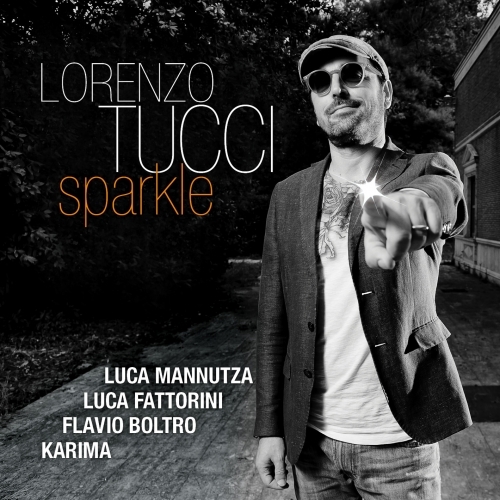 Sparkle, is scheduled for release in April 2016 and is the eighth album of one of the most acclaimed drummers on the Italian and international jazz scene: Lorenzo Tucci. 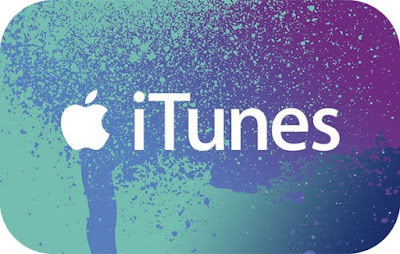 The album contains eight of Tucci’s original compositions and two songs paying tribute to great legends in the world of music: Sting and Pino Daniele. Beyond displaying technical mastery, this album reveals Tucci’s style and flair, his creativity as a composer, his recognizable individual genre, and his ability to perform with precision and a fiery modern-edge blend that has been making waves in the contemporary jazz scene. Most of his themes aren’t based on traditional jazz standards, but are shaped into brief suites, launching off into neatly contrived ideas. This is where jazz’s rhythmic, melodic and harmonic conventions unexpectedly expand to unfold a new space, making SPARKLE a truly innovative, contemporary jazz masterpiece. Renowned pianist Luca Mannutza together with the notably young yet acclaimed double bassist, Luca Fattorini, weave refined and interesting textures that fit seamlessly into the musical interlace, creating truly fresh-sounding atmospheres. Veteran Italian trumpeter Flavio Boltro imbues the music with intensity and emotional strength, thanks to his dynamically sensitive playing and versatility. The title track, Sparkle Suite, is a three part song - a form which characterizes the entire album. So One, a song in 5/4 time, is catchy and upbeat in a fresh and unpredictable way. Past and Grow are original tracks nestled on the outermost edge of jazz creativity. Two Years reveals a strong and creative melodic approach, with rhythmic inventiveness. 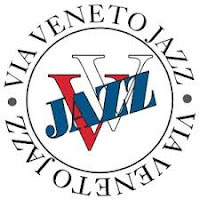 The suggestive, slow Bossa Nova track, L&L, carries a sense of mellow seduction and fluidity where Mannutza and Boltro spin out their technically advanced virtuosity. Keep Calm, is a song having a groovy, laid-back feel with linear drumming and polyrhythms almost evocating an auditory illusion. In the last unreleased track, Tarì, inspired by a real yet ethereal location, Tucci creates a sound which is apparently simple, yet of great harmonic complexity. 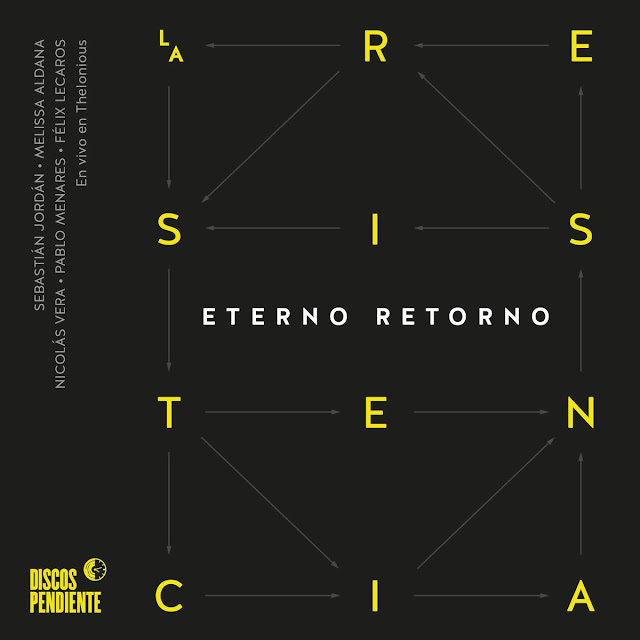 The tribute songs to Pino Daniele and Sting have been trasformed into true jazz standards of rare beauty: the first, E po' che fa’, is embellished by Karima’s intimate, sultry voice, while Seven Days is performed in trio with Tucci, Mannutza and Fattorini re-inhabiting Sting’s beautiful song in a heartfelt tribute to the great artist. Should you be insane enough to want to start a Big Band…. do it in New York! A difficult stage to climb up to and scream; cold and cruel at times but then burning hot and loving, the Big Apple gives you all you need and more… the finest musicians with great attitude, plenty of venues, great audiences, good and affordable studios. In return, you give back what you try to be best at… your music. It was at that veteran of all venerable old Manhattan venues, the Nuyorican Poets Cafe in the Lower East Side, where my flirts with the Big Band format became a love affair, with all its challenges and intricacies. Starting off as an experimental workshop, with personnel, compositions and arrangements varying every week, some suitable for the dance needs of the crowd and some suitable for a full concert, my Bandagrande Big Band slowly but surely came of age. Any composer dreams to write for a large ensemble, be it a large choir, a Symphonic Orchestra or its Jazz version, the Big Band which offers similar resources of color and dynamics, even though smaller in numbers. With close to twenty individual instruments (and their doubles) the arranger takes over from the composer and gradually starts creating like a painter, thinking in terms of color, balances, shade, light and, well… a concept borrowed from music by the visual arts… composition. Given such a range of possibilities, it was only natural to encompass as wide as possible a spectrum of music styles and idioms, from the Baroque sinfonía concertante, visiting the inquiring language of the sixties' and seventies’ Jazz, to the Brazilian eccentricities of a Hermeto Pascoal, adding, of course, my own honest attempts at composing and arranging. 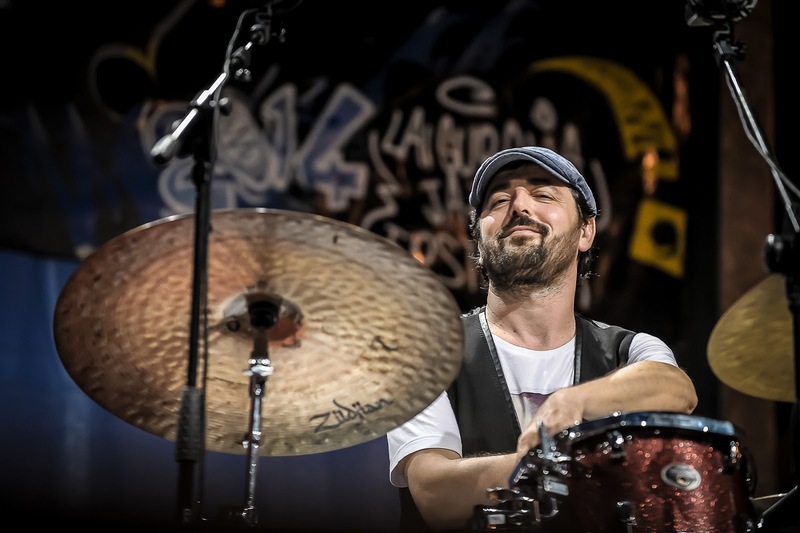 Mike Freeman has been hailed as ”masterful”, a ”superb” vibes player, and "wildly talented”. His sixth recording as a leader, BLUE TJADE continues his multicultural beat with a tip of the hat to Cal Tjader. 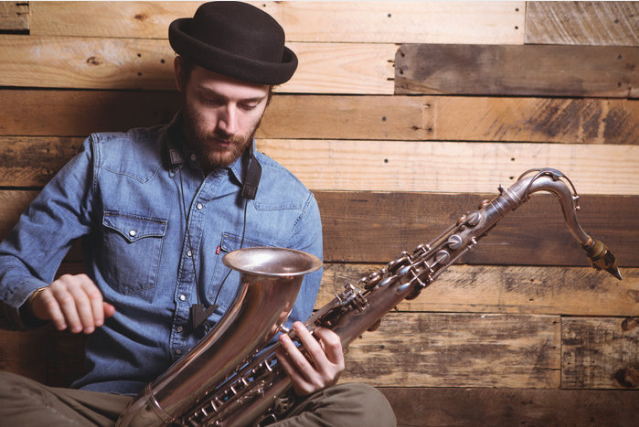 Grounded in jazz, Latin jazz, and salsa, Mike offers a unique group sound through his music, playing, and instrumentation. 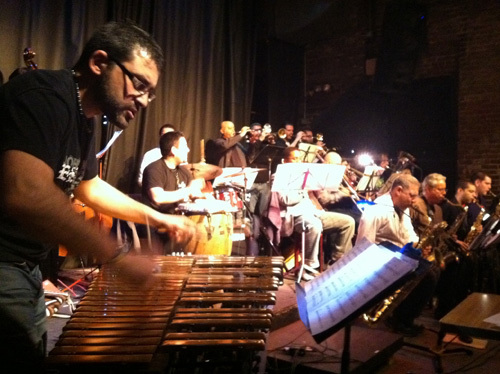 This outing features stalwarts of the New York music scene: bassist Ruben Rodriguez, conga master Chembo Corniel, and drummer Willie Martinez. Chicago’s highly regarded Jim Gailloreto rounds out the group on tenor saxophone and flute. 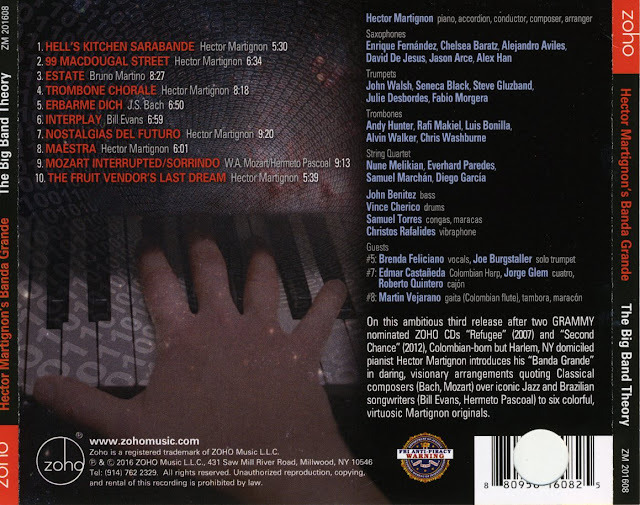 Mike’s recordings have appeared on numerous radio charts (jazz, contemporary, World) and syndicated radio programs (WOR radio network, Jazz After Hours, David Sanborn, Music Choice, United Airlines), with international airplay including Canada, Europe, the Caribbean, South America, and Australia. His recordings have been both Grammy and Latin Grammy entries and have received outstanding reviews. Mike is also widely known by fans and audiences for his work and recordings with several acclaimed Latin groups including Ray Mantilla’s Good Vibrations; Lucho Cueto’s all-star salsa group Black Sugar; and Son Boricua with Jose Mangual Jr. and the late Jimmy Sabater (one of the architects of Boogaloo).